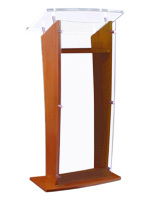 This church lectern is an important lecture tool for a worship service or a business lecture. 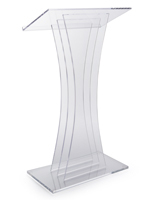 Quality presentation furniture can boost the decor in a room instantly while drawing attention to the speaker. 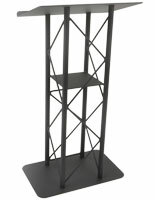 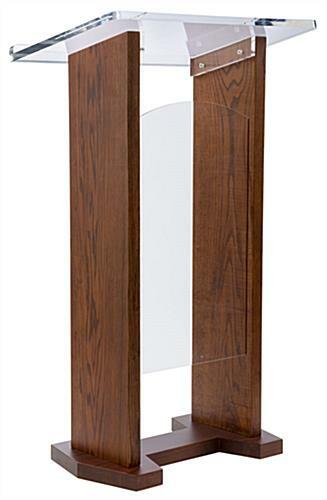 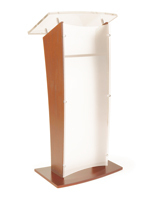 This lectern, also known as a podium, blends traditional and contemporary style. 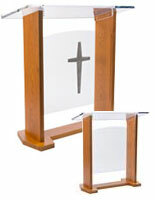 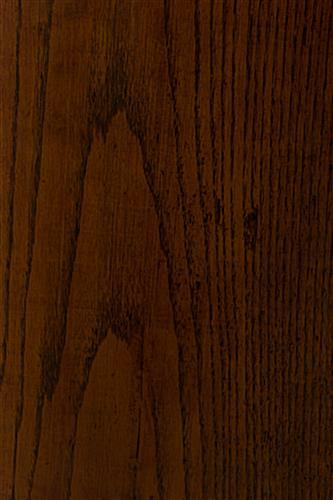 It combines a rich, solid wood base and two arylic panels, one with an etched white cross, the other plain. 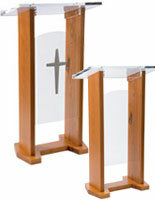 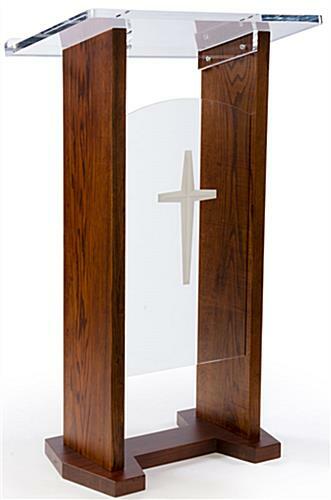 Talking stands such as this wooden pulpit that is 46.75" tall have a large surface for reading materials. 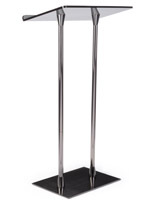 Two people are required for assembly. 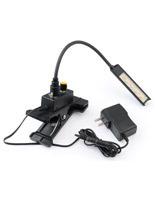 Tools and hardware are provided, plus a cloth for cleaning to remove fingerprints or dust). 27.5" x 46.8" x 17.5"
24.0" x 1.6" x 14.8"